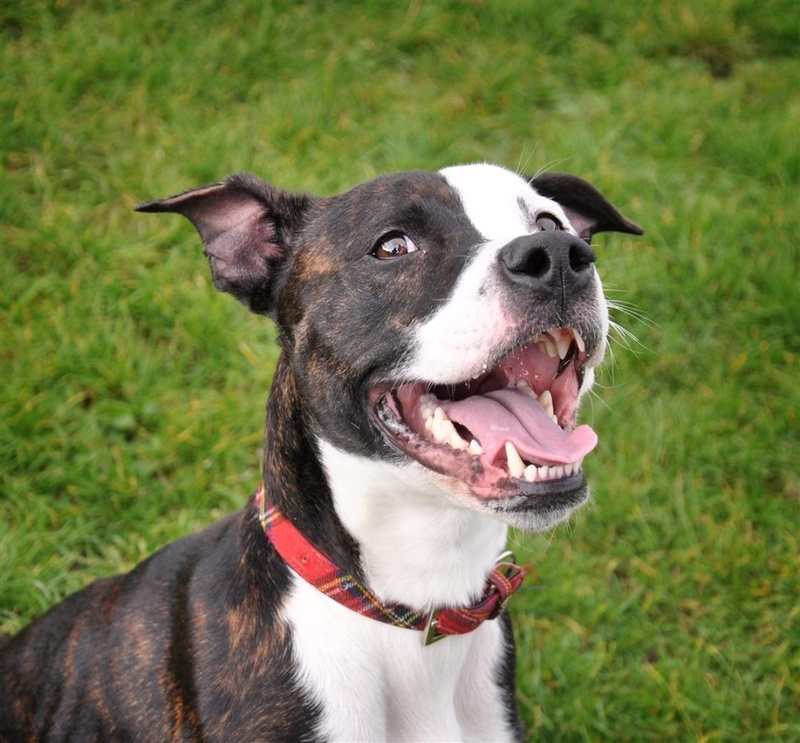 Rocko is an energetic and excitable boy who has lots of enthusiasm. He needs to stay active and will require lots of exercise as well as mental stimulation to stop him becoming bored. We think he would really enjoy going to agility as he loves running and jumping. He is lots of fun and loves bouncing around with his squeaky toys, chasing a ball, and playing tug with a rope toy. He does like other dogs but needs to learn some doggy manners as he gets too excited and boisterous when he plays with them. He is a sweet natured boy who is very friendly and loving, and would make a fantastic addition to the right home. Rocko needs an active owner who is prepared to carry on with his training and work on his doggy socialisation skills. He may suit living with a family with teenaged children. Unfortunately, Rocko is so happy that he has hurt his tail with all the wagging he does and is now getting vet treatment for this. He won’t be ready to go until this is better but please let us know if you would be interested in giving him a home.